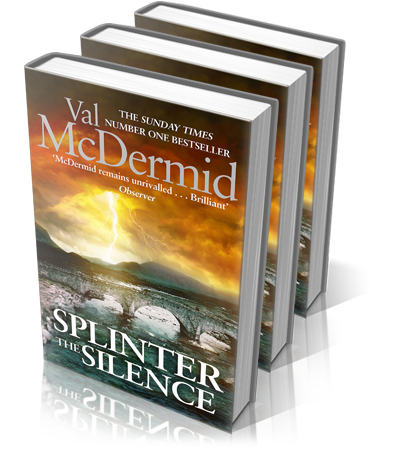 Splinter the Silence is one of the Boston Globe’s Best Books of 2015! The Los Angeles Times included Splinter the Silence as one of their 56 fiction and poetry picks for the holidays in the mystery thriller category! The real mistress of psychological gripping thrillers; no one can plot or tell a story like she can. So gripping it puts your life on hold. I’m already thinking of my top five books of the year, and this one is definitely on the list. McDermid’s 29th novel proves she has not lost an iota of her expertise. McDermid remains unrivalled . . . Brilliant. …read an interview Sunday Herald with Val McDermid in the Sunday Herald, where she discusses female authors, internet trolls and how long she intends to write for.